In September Blaupunkt launched a sling of LED televisions in India. One of which is the Blaupunkt 50-inch Smart LED TV with Soundbar. This one particularly caught our attention since it was a combo deal you rarely see on the shelves. 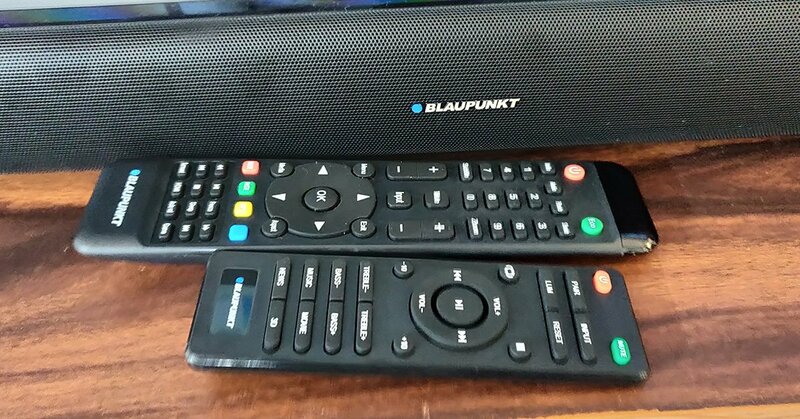 For people who are less familiar with the brand, which we are sure are less, Blaupunkt is a German brand that has been building some excellent in car entertainment systems and audio driver for automobiles. They have forayed into different segments, one of which is audio and video for homes. We at Gadget Bridge got our hands on the latest television by the company that came to our side of the world. This is our review of the new LED TV by Blaupunkt. While most LED TVs in the budget to mid-price range look the same, it was refreshing to see a different looking LED TV. The Blaupunkt 50-inch Smart LED TV sports silver trims around it and also comes with silver aluminium legs. The flatscreen measures 50-inches diagonally and is great to look at. Built for medium to large rooms and living rooms this thin tube has 75mm depth at its thickest point. 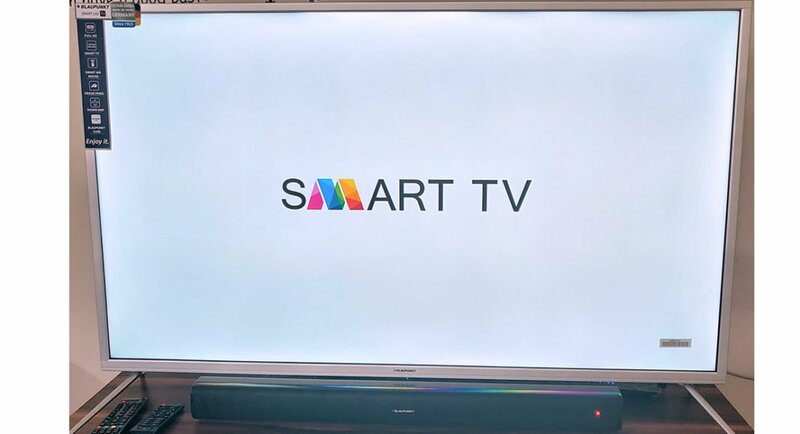 The front of the TV is dominated by the large smart screen, which has Blaupunkt branding under it in the middle. The right side of the TV has physical power, volume and channel buttons, while the left side has nothing. Usually most TVs have a side connectivity panel on the left, but not this TV. Well, somewhat. To reach to the side connectivity panel, one has to go inwards to the back, which kind of defeats the whole purpose of it being there. Right next to it is the downwards facing port panel. The TV has everything from twin USB, multiple HDMI, Ethernet, component and composite ports. 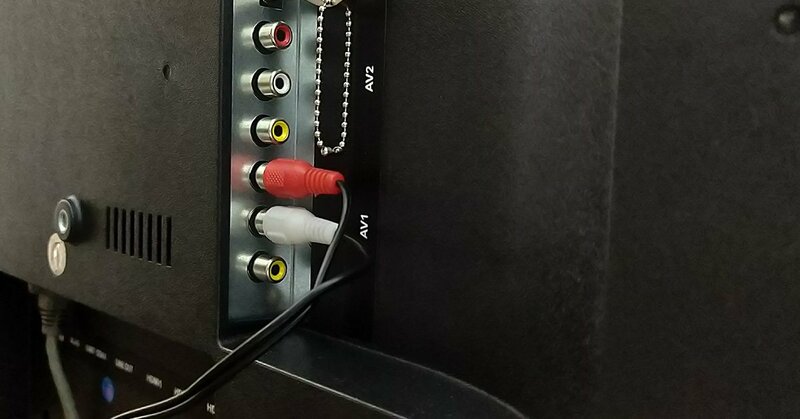 It even has an auxiliary speaker jack that can connect external speakers or in this case connects the sound bar to the TV. Speaking of which, setting up the TV and the sound bar did not take much time. We were up and running in matter of minutes. The only place we spent a little extra time is when we were trying understand how the soundbar would pair with the TV. The sound bar supplied with the Blaupunkt 50-inch Smart LED TV is quite light. The sides of the sound bar are squarish giving it a modern look. Dressed in black the sound bar can be wall mounted or kept under the TV on the table. This became a little bit of a hassle for us, as when kept under the TV it blocks the IR port. To control it, every time we had to raise our arms. The sound bar comes with an LED indicator on it. The Blue LED indicated, Bluetooth pairing, purple is for AUX 1 and Green is for AUX 2. The rear has these AUX ports along with a USB port for it to play music directly from a USB pen drive. The box also contains a neat little USB extender which when placed extends the USB port to the right for ease of access. Wish same was done for the side connectivity panel on the TV. Blaupunkt 50-inch Smart LED TV is a beast when it comes to performance. When we turned it on and listened to it, without the sound bar, we started wondering why does one require the soundbar with this flat screen. The TV has 30W RMS twin hidden speakers, which are great to fill up a large room. Then we turned on the soundbar and a smile came to our face. When the soundbar kicks in, it adds additional 60W RMS and the sound becomes extremely good and realistic. Movies, sports and gaming experience becomes much better with it turned on. Internally, the Blaupunkt 50-inch Smart LED TV comes with a 1.5 GHz Quad-core CPU, 1 GB RAM and 8 GB storage. Built on the Android for TV OS this TV does take a little time to start, as each time the operating system has to kick in, but when it starts it has great graphics to show. We watched everything from FHD YouTube videos to 4K movies. All of them look exceptionally good on this smart LED TV. The picture is clear with vivid colours and blacks are deep. For the budget segment we got really kicked with what we were seeing. One can easily connect the TV to the internet with an Ethernet cable, but setting up the Wi-Fi does take a fair bit of time. Once online the TV updates all the feature lists on its own. There are good amount of apps like Hotstar, Netflix, Eros Now etc. already installed in the TV and you can download more that are supported through the app store. Navigation and search was made easy using the Air remote that is supplied in the box. Oh, we did not talk about the remotes. Well, there are 3 of them that come with this television, two for the TV (A regular large candy bar style remote and the air remote) and the third one for the sound bar, in case you want to just use the soundbar separately without turning on the TV. Yes, you can do that and pair multiple devices with the soundbar. Pairing over Bluetooth is an easy task, so is the USB functionality. All the popular formats such as MP3 are supported. The full function remote control comes in handy and one can easily navigate without turning the TV screen on. Other features of the TV include screen casting, 16:9 aspect ratio, 4,000:1 contrast ratio and 178 degree viewing angles (which is very good when watching the tele from the sides). Overall, we quite liked what we saw. Yes, somethings like the side port panel placement could have been better, however that is not a deal breaker. At a price of Rs 33,999 the Blaupunkt 50-inch Smart LED TV with its sound bar is a good buy, especially if you want 4K capabilities and great sound to go with it.